What to do with former Skaneateles Lakers gear and jerseys?!?! How about repurpose them for #TBT - Throwback Thursday! 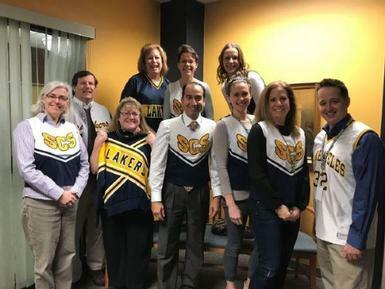 The Counseling Center and Administration staff of Skaneateles High School are joining in on the fun of Throwback Thursday today at SHS. Faculty, staff and students celebrate Throwback Thursday on the first Thursday of each month.